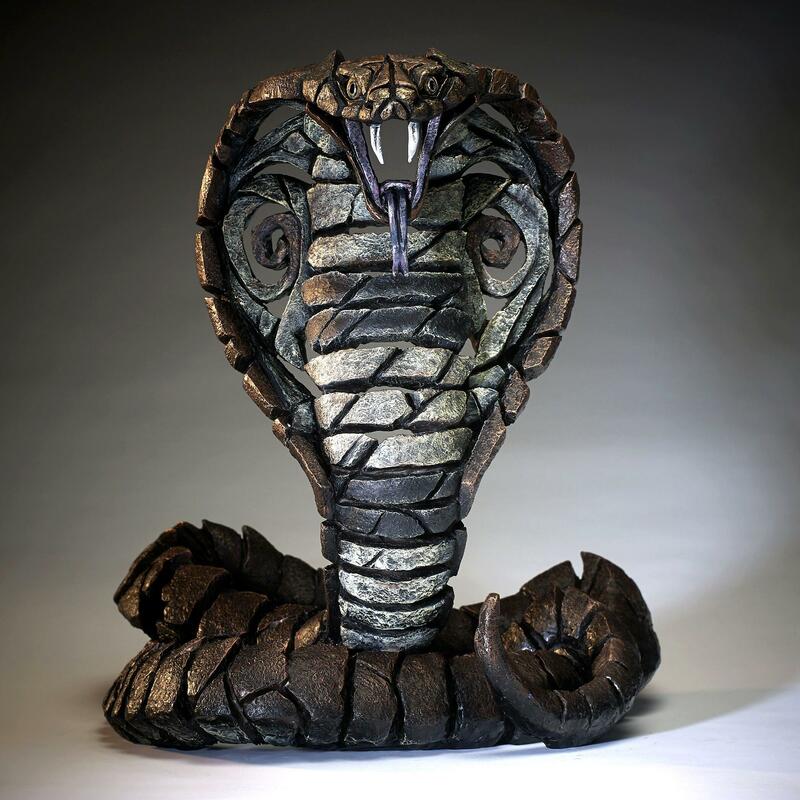 Cobra sculpture by Matt Buckley from the EDGE Collection. The cobra is the longest, most venomous snake in the world, fully justifying its fearsome reputation. Native to India and parts of Africa and South East Asia, cobra's have become part of the mythology and folklore of these regions. 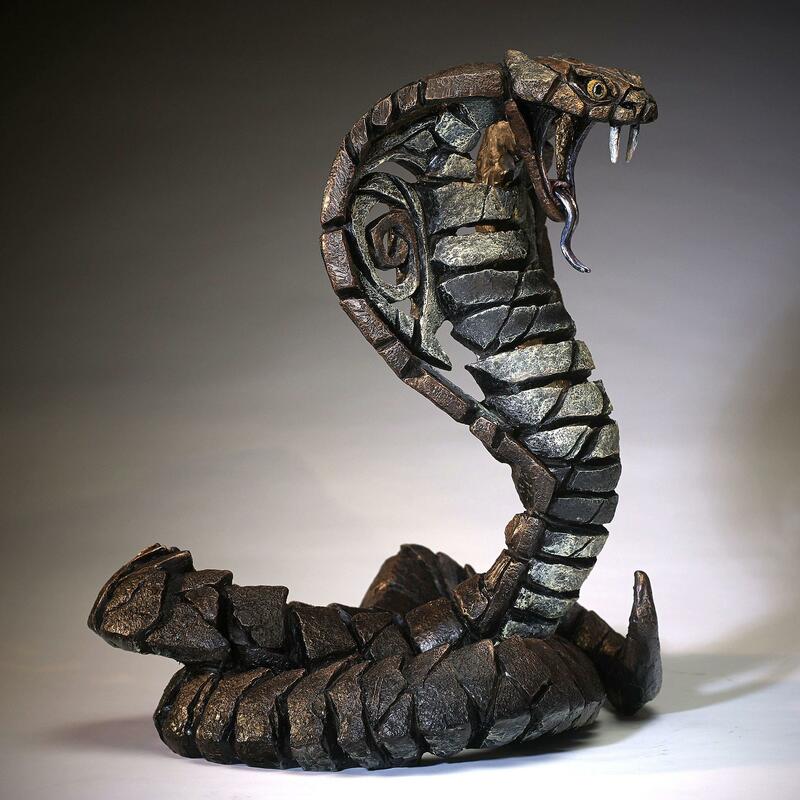 Matt Buckley's sculpture shows the cobra in its classic pose with body curled, head raised, fangs bared and its neck ribs expanded to form the unmistakable hood shape. This cobra sculpture has a pleasing copper brown colouring, however we also have the same sculpture in a desert sand finish - COBRA DESERT ED11D and one in a limited edition silver finish COBRA SILVER ED11S.